displaying 74 worldwide cities / locations. Photos above were taken for promotional purposes. 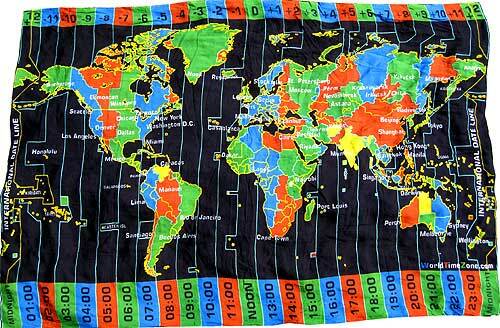 This colorful WorldTimeZone map on cloth may be used as a beach blanket, light-weight travel blanket, summer beach wrap/cover-up, wraparound skirt, shawl, or tablecloth. - Size 45" x 72" (115 x180 cm) with tassel. - A light-weight 8 oz. / 230 grams. - Hand-printed on soft, 100% rayon. - Hand wash in cold water/hang dry. 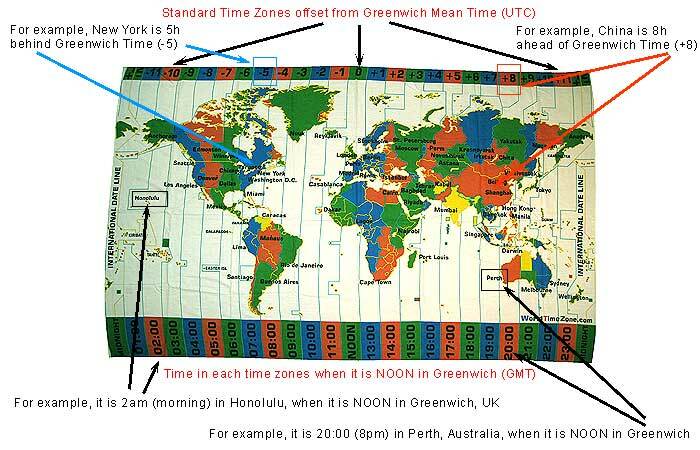 - Standard Time Zones offset from GMT. - Displaying 74 cities / locations. - Perfect for Beach Lovers, World Travelers, Tourists. Note: As these items are hand-printed, process irregularities may exisit. 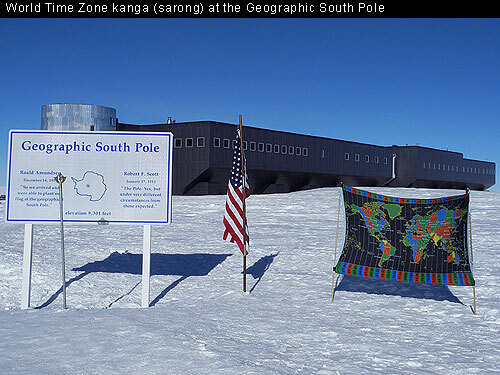 World Time Zone sarong design is exclusively available only through WorldTimeZone.com. Click on the Image below to go to the WorldTimeZone store.